In a letter to UN SG Ban Ki Moon, the Balawaristan National Front (BNF) urges the UN to address and end its “apathy” towards the grievances of the indigenous people of Pakistan-occupied Gilgit-Baltistan. BNF’s Chairman and author of the letter, Mr Abdul Hamid Khan, condemns the systematic persecution, abuse and silencing of the region’s representatives, journalists and human rights activists. Besides the overall political and economic marginalization of the region, Mr Khan also decries Islamabad’s deliberate attempt to destroy the local identity of the indigenous people of Gilgit-Baltistan. Balawaristan, Pakistan Occupied Gilgit Baltistan (PoGB) which comprises 72000 Sq. Kms of UN disputed territory sandwiched between China, Afghanistan, India and Pakistan, is currently under the illegal occupation of Pakistan. This occupation still continues in violation of UNCIP resolutions of 28th April 1949 after the adoption of UNCIP resolutions of 13th August 1948, 5th January 1949 and 28th April 1949. Pakistan has kept its occupation of the area under the pretext of a fraudulent agreement between Pakistan and two of its stooges from occupied Jammu & Kashmir without the knowledge and consent of either the UN or the people of Gilgit Baltistan. Pakistan fabricated this fraudulent non-inclusive agreement on 28th April 1949, on the very day when UNCIP had asked Pakistan to withdraw its forces from this disputed part. In 1963 Pakistan illegally conceded 7000 Sq KMs area of Shimshal, part of Hunza (Occupied Gilgit Baltistan) to China for the construction of Karakorum Highway (KKH) which is ever since being extensively used by both China and Pakistan for economic as well as military purposes. Pakistan is using KKH for importing nuclear and missile parts from China without the knowledge and consent of the local population of the area who are the ancient inhabitants of the land. In addition, a large number of hideouts, bunkers, tunnels and small air strips have been constructed along this highway to deploy/stock nuclear arsenals. This not only poses a serious threat to the human beings but also to flora and fauna of the region. It is important to note that in the same year, i.e. 1963, China had assured UN that it accepts the disputed nature of Gilgit Baltistan with the rest of Jammu & Kashmir. Moreover, China also acknowledged that its acceptance and occupation of a part of this territory (which was an independent country in the past) from Pakistan is temporary, and that a final agreement regarding Shimshal will be made with the legitimate sovereign authority established after settlement of the Jammu & Kashmir dispute. It also needs to be stated that instead of initiating a withdrawal of its forces and civilian from Gilgit Baltistan as well as from occupied J&K within a period of 3 months, as mandated by the UNCIP resolution of 28th April 1949, Pakistan has, on the contrary, drastically increased the quantum of its forces by manifolds and has also steadily settled its own Pakistani citizens and foreigners to alter the demography of this disputed land. These illegal migrant settlers comprise Pathan fundamentalists from Pakistan’s territories as well as from China and Afghanistan. Pakistan has long been constantly violating the fundamental human rights of the people of PoGB, including their civil rights, right of vote to choose their representatives for the parliament, right of free speech, right to have a share in the revenue from the natural resources (including water, gold, Uranium and various mines like copper and molybdenum, which is used by China in its space technology), and the right to seek fair justice. The entire 2 million population is a victim of Pakistan’s relentless violation of UNCIP resolutions and Universal declaration of Human Rights. (f) There is no victimization. Instead of initiating an immediate withdrawal of its forces, Pakistan has multiplied its military personnel in the region by thousands of times more. There is no freedom of speech, right to peaceful political assembly, right to free travel and political activities. Issuing death threats and intimidation to politically affiliated human rights activists in the region has become a daily routine of Pakistani occupation regime. There is no local authority in PoGB, the only fraudulent organ, named GBLA (Gilgit Baltistan Legislative Assembly) is established as a dummy by Pakistan, only to befool the international community. GBLA has legislative authority not even at par with that of a Local Municipal Body of any Pakistani city. GBLA has so far submitted all its resolutions to the Ministry of GB and J&K Affairs Islamabad, which is not even bound to respond. Despite the fact that Pakistan has no right to establish its own political and religious parties in this disputed part, it continuously encourages, promotes and supports its own political and religious parties while actively discouraging, threatening, and arresting indigenous nationalist political parties with full state power. Pakistan occupation regime also actively engages in running their rumor-mills to malign every influential nationalist person, by labelling them as agents of RAW, CIA, or Mosad. Moreover, the Pakistani security forces and its notorious intelligence agency ISI are infamously active in terrorizing indigenous people directly, by anti-terrorist and other Courts and also by using their trained terrorist organizations. It is to be mentioned here that after the construction of the KKH the mass killing of local people was done on the basis of their religious and political belief in the towns and even in their houses, under the command of Pakistan Army in 1988. These killings were orchestrated to create sectarian division among the indigenous people, so that nobody would dare to raise any voice against Pakistani occupation and its use of the land for terrorist activities within as well as across the borders. Recently, only four days before the Pakistani illegal elections (which were yet again an open violation of UNCIP resolutions), its forces stationed in Gilgit city arrested prominent nationalist political leaders to pave the way for an easy selection of their own stooges in the name of elections. Safdar Ali leader Balawaristan National Front (BNF), Col (R) Nadir Hassan, Gilgit Baltistan Thinkers Forum, Iftikhar Hussain, activist Akbar Hussain, activist Mudasar, Wasim, Faqeer Hussain, and many others in front of UN Military Observer’s Office at Jutial Gilgit, on 4th June 2015. Four days before these so-called gimmick elections/selections, scheduled on 8th June, these nationalist political leaders had marched to present and express their voice and grievances against the Pakistan China Economic Corridor conspiracy (which is actually a fraudulent sale deed of Gilgit-Baltistan) and against the fraud elections to the UN observers in Jutial, Gilgit. However, on the orders of Pakistani occupation forces, many of these peaceful nationalist leaders were tortured and arrested. They have been subsequently framed under Sedition and anti-terrorist laws. Pakistani occupation regime has set up JIT (Joint Investigation Team, consisting of the ISI, MI, Police, and many others, who are experts in brutal torture tactics) to threaten the whole local population, so that nobody would dare challenge the orders of Pakistani occupation regime. It is important to note that such arrests are not unprecedented. Pakistanis had also arrested BNF and other local nationalist leaders just a week before the 2009 elections, too. Col. Nadir was taken to ISI underground torture Cell near Gilgit Airport and tortured him for 2 weeks just before his release on bail. This is a land designated as disputed by UN, where political leaders are treated as terrorists and real state-sponsored terrorists are free to kill nationalist, political and religious opponents under the complete patronage of Pakistani occupation forces. After the recent imposition of a fraud package Pakistani masters have also snatched all important job posts from the indigenous people of Balawaristan (Pakistan Occupied Gilgit Baltistan). Pakistan has imposed its own citizens on 35 top positions, while meagre subordinate jobs have been given to the indigenous people. Before this package only 3 high level Pakistani officials/citizens, Army Head (Force Commander for GB), Chief Secretary and IGP were deputed from Pakistan. Pakistani masters also enjoy significantly greater salaries as compared to the indigenous employees on the same positions. Balawaristan National Front appeals to the UN and to the civilized world communities to condemn the arrest and torture incident of nationalist leaders on 4th June 2015. We appeal that the UN should direct its member country Pakistan to immediately release all illegally imprisoned political activists of Gilgit Baltistan and those who are facing death sentence without any legal process of High Court and Supreme Court. We also want to let the world community know that the deployment of Pakistan Army in Gilgit-Baltistan by forcefully evicting indigenous people from their lands in Chilas and other areas to construct more and more Military cantonments is serious violation of UN resolutions. These deployments are to facilitate and support the likely handing over of the whole area to China in the name of implementing the so-called China Pakistan Economic Corridor (CPEC) fraud agreement. BNF also extends an appeal to the republic of China to play its dutiful role as a powerful and constructive neighbour of Gilgit Baltistan as well as a permanent member of the UNSC. China should not only check violations of UNCIP resolutions but should also put due pressure on Pakistan to withdraw all its civilians and Forces from this disputed territory as an obligation under the 28th April 1949 UNCIP Truce Terms. China should not be involved (by introducing CPEC) in the violation of “territorial integrity and the sovereignty of the State of Jammu and Kashmir, including GB, stipulated in the 5th Jan. 1949 UNCIP resolution. BNF appeals UNSC, if this Pakistan-China Economic Corridor (CPEC) conspiracy is not checked in time, the two million indigenous population of Gilgit-Baltistan is likely to vanish into extinction. South Asia and rest of the civilized world will face serious humanitarian and environmental consequences as well. In this project of 46 billion dollars 6 Mega Dams (including Diamar Bhasha Dam, Bonji, Henzel Gilgit, Skardu and others parts in Baltistan) have been proposed for construction. As a result of this project very large proportions of inhabitable land in Gilgit Baltistan will be submerged due to the construction of huge unnatural water reservoirs within the world’s highest barren mountain ranges. Besides these dams, China and Pakistan also plan to construct Railway lines under these high mountains, to facilitate the movement of their military forces to further prolong the suppressive reigns on this region and beyond. They also plan to deploy a large number of security forces and members of their secret agencies to provide security to men and material to keep their illegal occupation over the area and the local people by coercion and intimidation. The extent and level of environmental catastrophe that is likely to be caused by these massive construction projects on the world highest mountains cannot be easily estimated. CPEC is not merely a development project, it is a means to merge this resourceful territory into China and Pakistan after effectuating destruction of its high-altitude eco-system, and subsequently displacing its 2 million population. There is no legal / constitutional / judicial mechanism in place in Pakistan Occupied Gilgit Baltistan (PoGB) to protect people from human rights violations, except the UN and civilized world. Many political and religious people have been prosecuted in Gilgit Baltistan Jails without giving them access to legal / constitutional redress options or High Court and Supreme Court. Local population working in administration, Police, Education and Security Forces are not promoted for the top jobs and are always put under the final control of Pakistani citizens. Indigenous people in government service have been insulted, degraded and never trusted. Huge taxes are being imposed by Pakistan without giving the right of representation. The people have no right of vote to represent them in a Parliament, neither in Pakistan nor in India, even though both the countries claim rights over the territory. The holding of elections in GB on 8th June 2015 was a new drama of Pakistan to befool the international community and specially the EU, which had passed a resolution in 2007 under Baroness Emma Nicholson. As per the legal obligations under the UNCIP resolutions of 28th April 1949, Pakistan has to withdraw its forces and citizens from the occupied territory of Gilgit Baltistan and J&K to pave way for a plebiscite. Pakistan government is also under obligation to allow political activities and freedom of expression but government of Pakistan violates this in utter contempt of UN and imposes its own political and religious parties, but Pakistan threats indigenous political leaders by using its terrorist organizations, anti-terrorist courts as well as its intelligence agency. The apathy of UN towards this UN disputed land, the absence of free and independent Judiciary, lack of independent media and absence of human rights organizations in the region helps Pakistani regime to violate all the civilised norms and the tenets of Universal declaration of Human Rights. Anyone who dares to protest against the atrocities of Pakistani administration and its intelligence agencies is tortured, prosecuted and eventually eliminated. It may be recalled that innocent protestors were killed in Chilas, when they protested peacefully against the construction of Diamar Bhasha Dam on their land, the UN disputed territory without their consultation. Similarly, innocent protestors were killed in Hunza. In addition, after these brutal killings a large number of innocents who were protesting against these killings were arrested and declared as terrorists, brutally tortured by intelligence agencies and many of them were awarded life imprisonment by the illegal and unconstitutional terrorist courts in Gilgit. As per UNCIP resolution of 5th Jan 1949, Pakistan has no right to alter the demography of Gilgit-Baltistan by settling its own citizens. Pakistan has no right to destroy our geographical features by constructing 6 mega dams including Diamar Basha Dam. Pakistan has no right to make any agreement with any country on behalf of Gilgit-Baltistan, unless the 2 million people of this land are given the right by impartial referendum under UN mandate to do so. 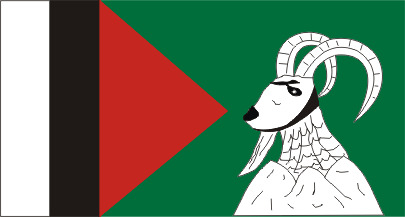 Balawaristan National Front (BNF) appeals to UNSC, UN as well as all UN affiliated Human Rights Organizations on behalf of the 2 million indigenous people of Gilgit Baltistan, to persuade the Pakistani regime to stop the torture of peaceful political leaders, to give them the right of free speech and unhindered communication, to allow them to lodge their grievances with the UN or any legal organizations. BNF also extends this appeal to UN to persuade Pakistan to withdraw terrorist acts and sedition charges against the detainees of 4th June in Gilgit and many others who have been imprisoned and awarded death sentences and life-imprisonments without any legal procedure, solely due to their political and religious differences with the occupation regime. BNF appeals to the UNSC, UN, and the EU to put pressure on China and Pakistan to end the occupation of Gilgit Baltistan and to abandon the so-called CPEC by following their obligations under UN resolutions. The UN should also ask Pakistan to end its illegal occupation of Chitral and Shenaki Kohistan, allowing the local people to rule their Motherland as their birth right.